Missing Link recently introduced Once Daily, a multi-function daily dental chew for dogs. Expanding on their L/XL and S/M sizes they’ve just introduced skin & coat for petite & mini breeds! An ISO is available for the full collection and a Gap Fill offer is available for the Skin & Coat Petite/Mini breed 28 ct. bags alone. 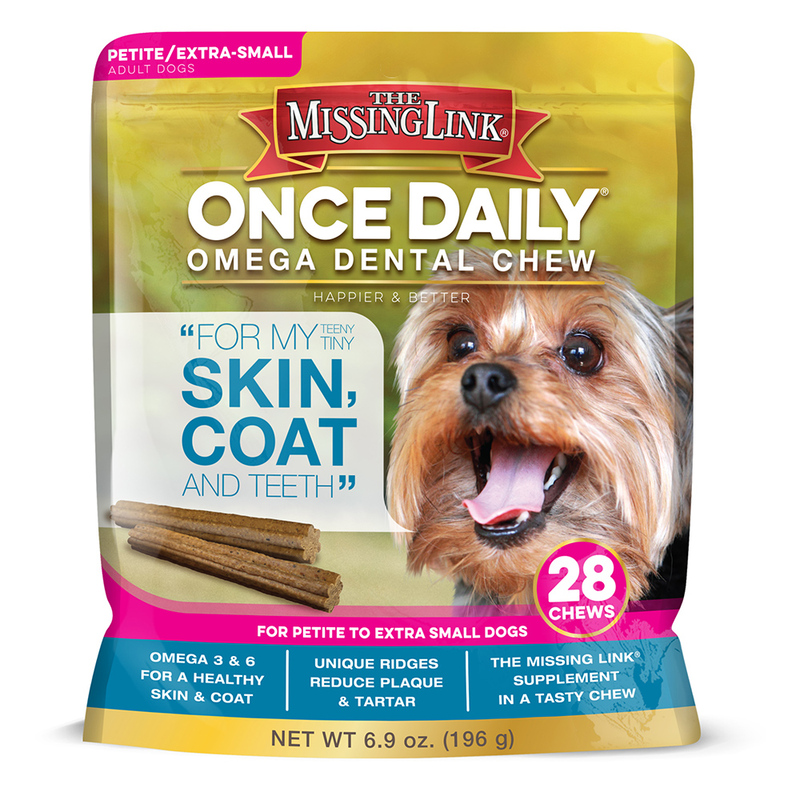 The Missing Link recommends the Once Daily Chews be merchandised with the supplements or dental products. We welcome your questions to determine if Missing Link Daily Superfood Dental Chew’s or our full range of Missing Link Supplements belong in your store.